In 2007, Steve Jobs introduced the iPhone to the world, and changed everything. As the iPhone celebrates its tenth birthday on 29 June, the smartphone is more important than it ever has been. It is our most personal device. In fact, many of us would rather lose our keys than our phones. Today, in a world of Audible’s, Uber’s and Deliveroo’s, we are just one click away from convenience and many of us can’t live without our smartphones. This, in no small part, is down to the iPhone. The iPhone revolutionised the mobile phone. It was Steve Job’s vision of integrating the mobile phone with full-colour touchscreens, full internet browsing and MP3 that really shifted the needle and provided the blueprint for the smartphones we use today. Apple created something that was easy to use, beautifully designed and, most importantly, desirable. Now, ten years on, mobile is our default gateway to the internet, our default camera, our default music player, it’s where we shop, bank and communicate. Then there’s apps and the app store, creating even more immersive mobile experiences with lengthy dwell time, making smartphones the definitive online gateway for consumers and the brands and services they use to work, play and entertain themselves. The first iteration of the iPhone, revealed at Macworld Expo in January 2007, brought with it an element of convenience and usability no other mobile handset had before. Few of the features and functions weren’t groundbreaking, but the way it was packaged certainly was. As often with Apple products, design and ease of use was to the fore, giving us everything we need in one intuitive place, growing to become our ultimate "everything, everywhere" device. Most importantly, the iPhone kicked off the smartphone revolution. Not long after the launch of iPhone came the first phone powered by what would later become Google’s Android, which, alongside high-end iPhone rivals, brought budget entry-level smartphones to the entire world. While others came and went the iPhone and Android have brought connectivity to everyone via the smartphone. This revolution, started by iPhone, has connected the world. 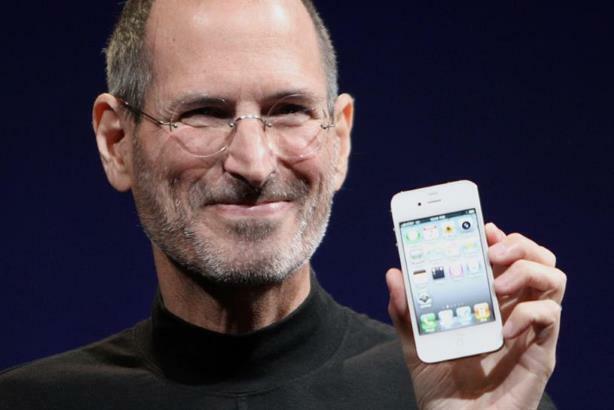 When Steve Jobs took to the stage ten years ago to announce the launch of the first iPhone, many of us didn’t anticipate the impact the device would have on our way of life and the connected world in which we now live. For marketers, this has created the largest consumer audience globally, and presented brands with the opportunity to engage with those consumers in creatively dynamic and innovative ways. Mobile offers a unique opportunity to target consumers, both behaviourally and contextually. The vast data capture opportunities from mobile have enabled marketers to utilise numerous unique pieces of information to adapt messaging by location, demographic and behaviour, to create unrivalled contextually relevant communications. This was reflected in digital media spend earlier this year, when mobile officially topped desktop spend in the UK. So how can brands and advertisers embrace the mobile-first approach? The big shift that must first happen is that mobile should be treated as the default view for all digital. Everything a brand does must be done through the lens of mobile. Mobile plays such a varied role in our engagement with brands from research, to purchase, payment and loyalty. Brands that don’t adopt the mobile-first mindset are at risk now more than ever to rapidly keep up with changing consumer needs and demands. Mobile-first has been a buzz phrase for a few years now. However, it must simply become the default through which all digital channels are viewed: search, display, video, e-commerce, CRM, performance, web – everything digital – should be planned, designed and executed with the mobile consumer in mind. It should not be part of the integrated approach – it needs to lead the integrated approach. iPhone was a game-changer and the mobile space has evolved incredibly since 2007. Going forward, brands that don’t put mobile front and centre of their digital marketing strategies will struggle to reach and resonate with their audience.